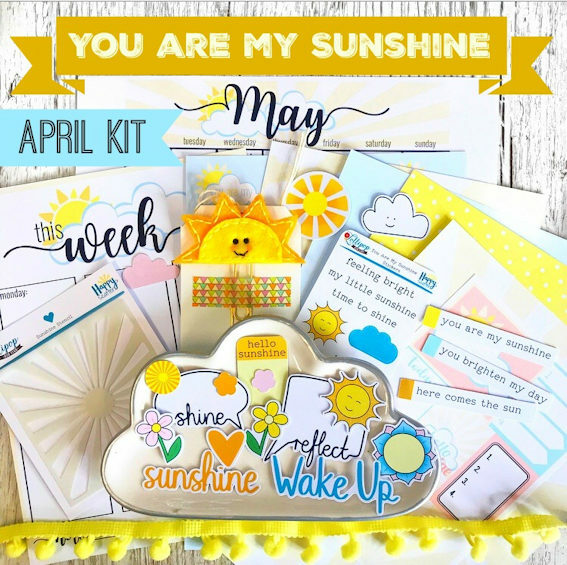 ‘You Are My Sunshine’ April Kits are now on sale. 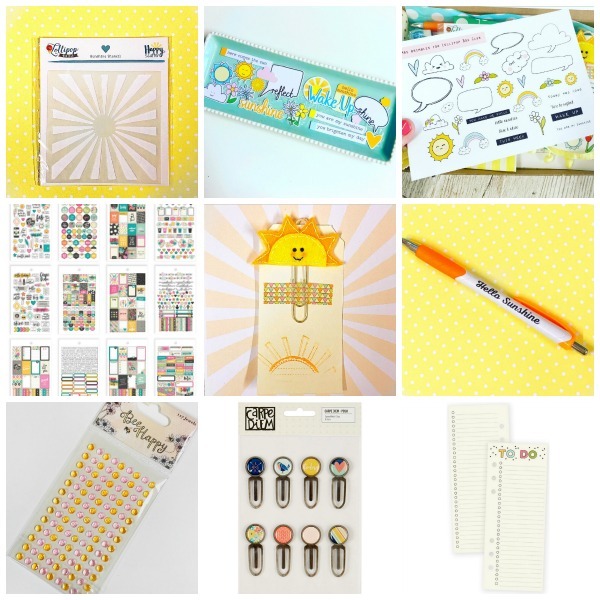 I am so happy with this happy sunny kit this month. It’s just what we need. 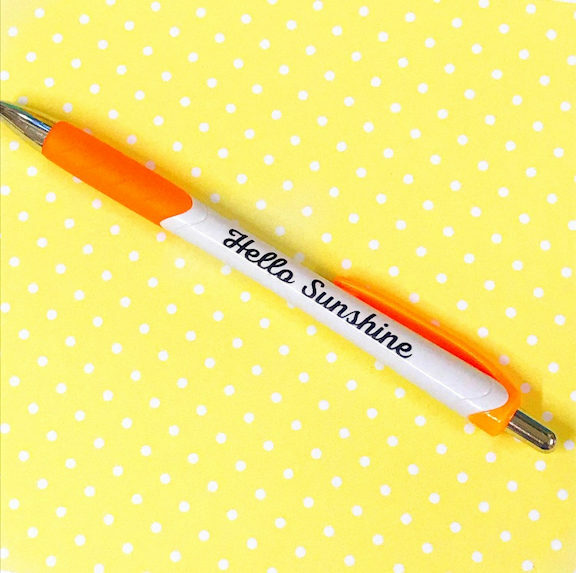 Sunshine really does lift your mood doesn’t it?! The ‘One Off’ kits are now on sale here. And if you’d like to check out the subscriptions, you can do so here. 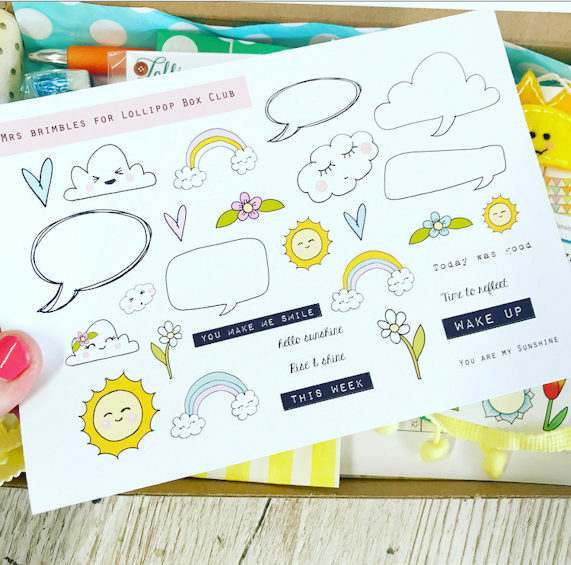 These kits are discounted and you also receive a code to download printables for free each month. We have an exciting change this month. You may have seen on our Instagram and Facebook page last week that Tash from Blossom Nose Co can sadly no longer make our stickers for us. She’s made them for so long now and she’s been so lovely to work with. But I’m happy to announce that Anna from Mrs Brimbles has said ‘Yes’ to creating them for us from this month’s kit. I love Anna and I love her artwork, so I was so happy when she said Yes and I was so happy with the response when I announced this change last week. 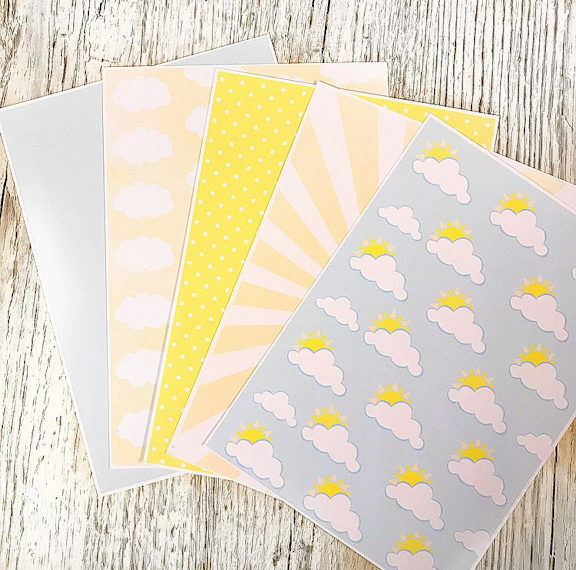 We also have these wonderful sunshine stencils in this month’s kit. I do love a sunshine stencil. 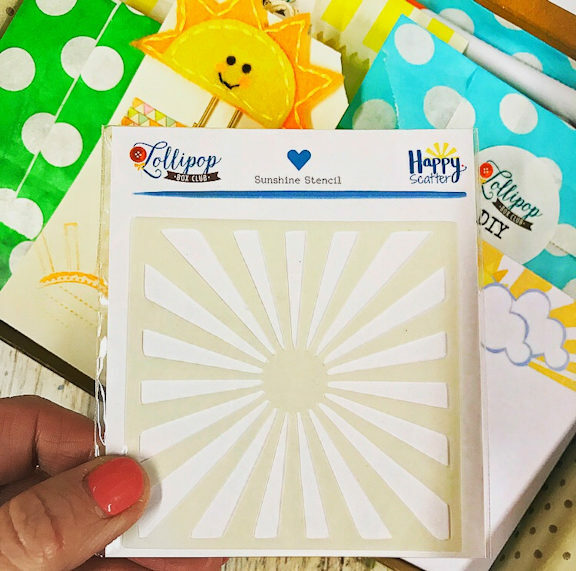 You will see lots of ways to use this stencil this month, here on the blog and on our YouTube channel. 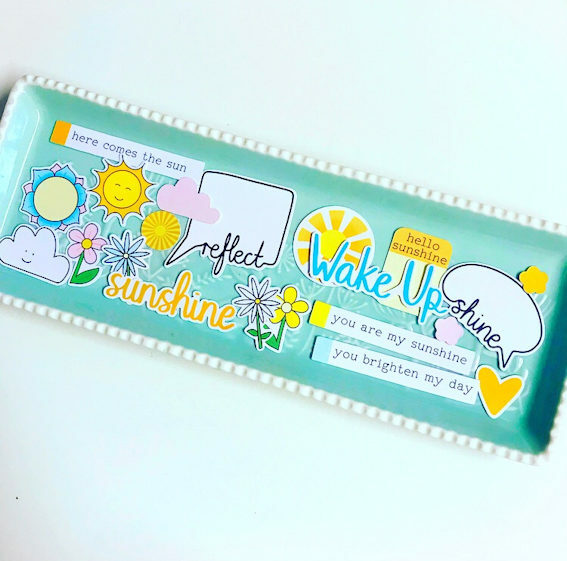 Can you see the happy planner clip behind the stencil???? Love this fun clip! Here are the Die Cuts. Always my favourite part of the kit, although the stencil this month is coming pretty close this time. I love how the Die Cuts can be used on all projects. Here are the exclusive papers. These are A5 and you receive 2 of each. These are super sturdy papers. There’s also a fun pen in this kit. Plus there are planner lists, a DIY bag, a mystery gift, a treat bag with lots of goodies and lots more. Many items are kept secret so that you receive surprises when your kit arrives. 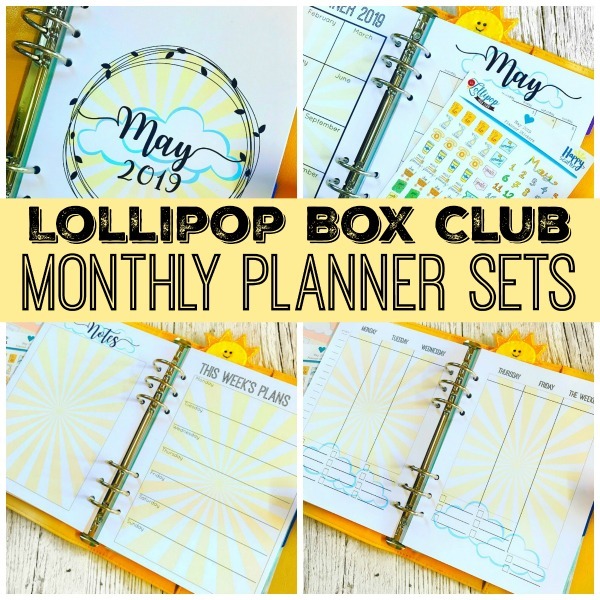 And don’t forget there are also the A5 Planner Sets that match this kit. You can read about them more here. I’m going to try and get the ‘Addon’s up earlier in the month from now. You can view this month’s ‘Addon’s here. These are in addition to the kit. You can purchase other items to coordinate and also extra pieces that are included within the kit. If you would like to order extra stickers, extra papers & die cuts, you can. 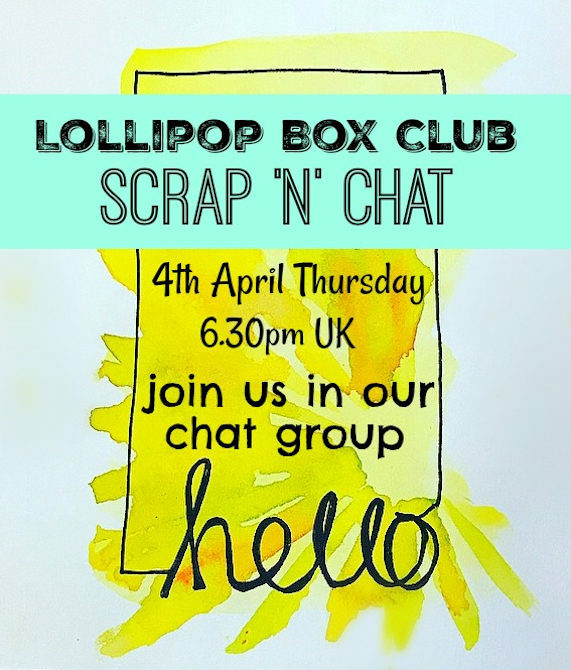 Now finally….. we are holding a ‘Scrap & Chat’ online event this Thursday in the Lollipop Chat Group here. This is a really fun event and everyone is welcome. You don’t have to have a kit to join in. There will be fun challenges with lots of creative chatter. The challenges will be open for the next 2 weeks so there is plenty of time to join in and you can catch up if you can’t make the evening. There will be prizes too! Come and join our friendly chat group. Have a great week. Let’s hope it’s a sunny one.